We had been trying to plan a family vacation for months. Somewhere different. Somewhere affordable. Somewhere where we could just be together. I found the tour to Turkey on Groupon just a few months before we left. I will never forget the feeling I had after I booked the trip online and called my family to confirm it. I had just hung up the phone with my brother and was walking into the bathroom. My smile reflecting back at me was infectious. I could not believe I was going to Turkey! I never thought, of all places, that this would be one I would actually visit. And I was going in just a few months. We left JFK on a direct flight to Istanbul. Just 10 hours until we touched down in Turkey. When we arrived, we searched for our name on the hundreds of signs chauffer’s were holding on white signs. We found our name and he led us to a large, black van. As we drove and drove deeper into the city, it became hilly, and the streets narrow, covered in cobblestone. It looked very European, but still had it’s own feel, something I’ve not felt since. He pulled off on the side of a road and pointed down what looked like a small alley. “Off there,” he said, “is your hotel. The path is too narrow for my van to fit.” So we unloaded, Matt grabbed a hold of my handlebars, and we walked the few blocks down a very steep, cobblestone covered hill, to our hotel. We were staying on the top floor – the fifth floor – and found a very small elevator that I would use for the next week. It was also the smallest elevator I’ve ever seen. Just large enough for me and my wheelchair to fit in. The rest of my family would get their exercise using the stairs each day. After we settled in our rooms, we agreed upon a short nap before we would head out for dinner. We set our alarms for two hours later. And just moments before our alarm clocks rang, we were all awoken by a noise from a speaker on the neighboring rooftop, just outside our cracked windows. It was the Call to Prayer. And while we didn’t understand what the Arabic words meant, it was oddly comforting. This would become a common wake up call for us…both in the morning and in the afternoon (if we were taking naps). That evening, we headed out to explore the area near our hotel. It was January, and the weather was much like that in the Midwest, just slightly warmer. 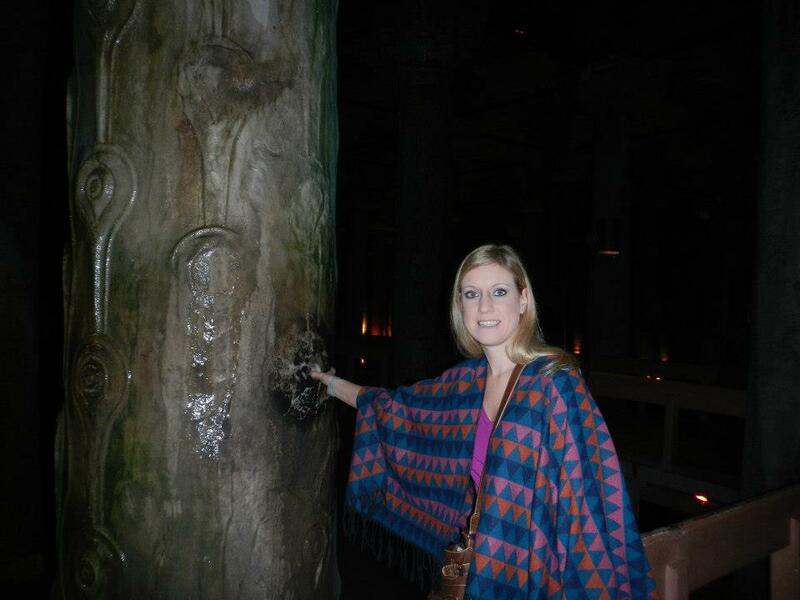 We visited an underground cistern, and put our thumbs in a wishing hole. Of course it was wet, and slimy, and I couldn’t help but wonder how many germs and fingers had been in this hole. But in went my thumb as I mumbled a wish under my breath. 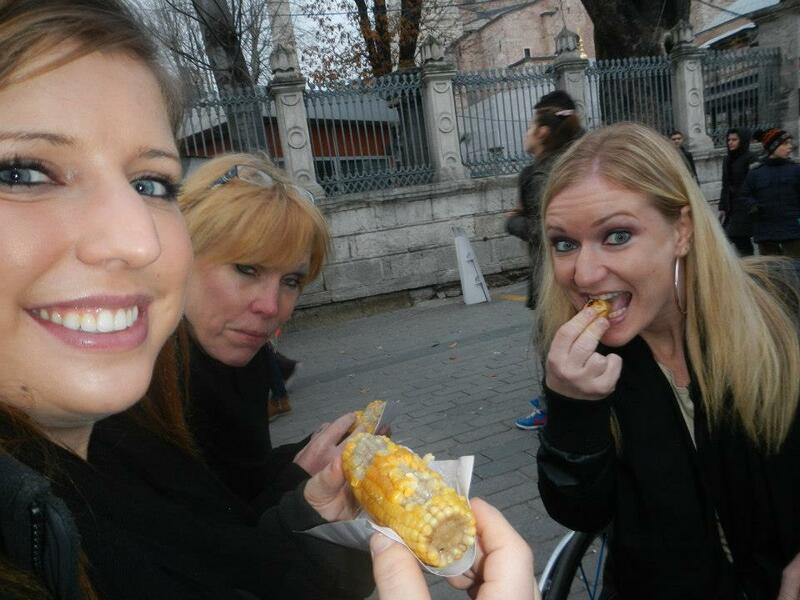 We wandered the sidewalks and found a man with a food cart selling roasted chestnuts and corn on the cob. This was our dinner, and it was so very tasty, with a strong wooden flavor. After a few hours of just wondering the sidewalks, with a light snow falling on our shoulders, we headed back towards our hotel. 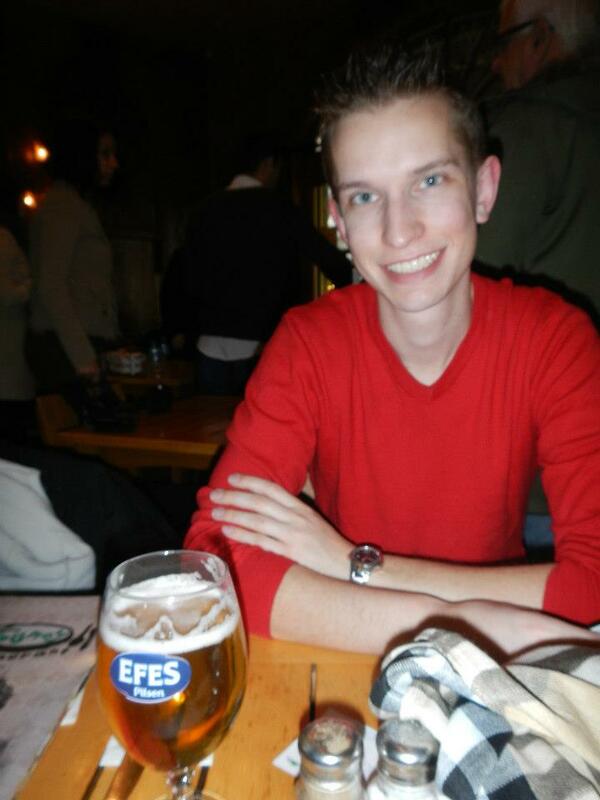 We remembered that next door was a small café where we would finish the night with Turkish coffee, baklava, and a few Efes (a common beer in Turkey). 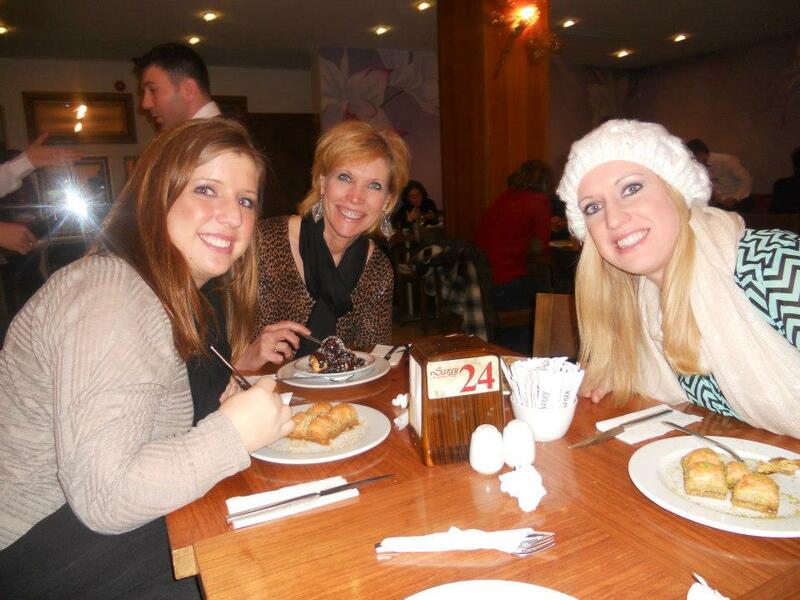 The coffee was spectacular and the baklava even better. These would become a staple at each meal for the rest of the week. And the two gentlemen working in the café would get to know us well. Our first few hours in Turkey had already blown me away. 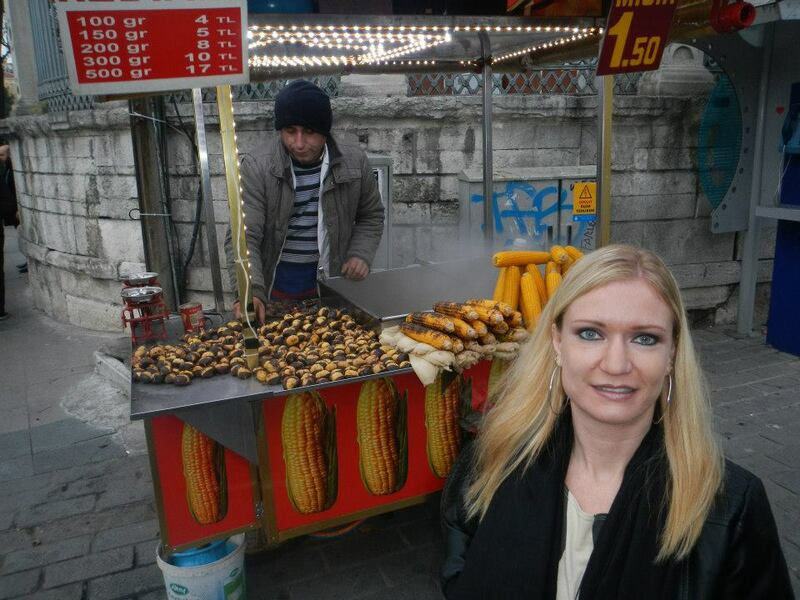 I couldn’t wait to explore the rest of Istanbul, the city that was about to become my favorite. You sure do some interesting travel!